How is your summer going? We just got back from spending a few gorgeous days at the lake with our friends. Even though we’re all exhausted from the sunshine, boating and late nights, it’s always fun to get away and experience a change of scenery and enjoy a break from the everyday. Laughter is such good medicine! One thing I was finally able to do over the extended weekend is read through a few of the magazines I’ve had sitting on my nightstand for a while now. I usually keep up with reading magazines as they arrive, but as I’ve added more blogs to my regular reading list, as well as few great online magazines, I’ve gotten away from reading very many in print. 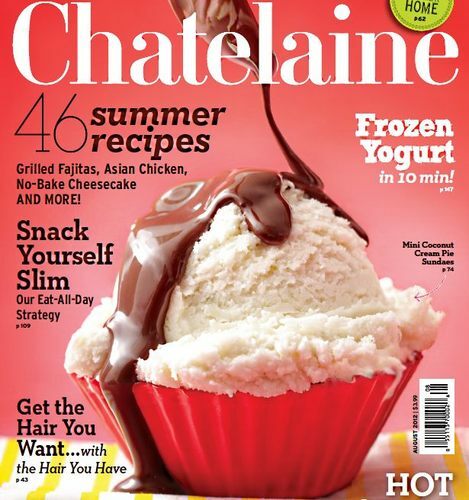 One magazine I do subscribe to is Chatelaine. I like the variety of topics it covers, such as health, beauty, fashion, decor, gardening and more. Because it’s Canadian, I can usually find what they’re talking about, whether it’s a grocery item or a particular pair of shoes. A favorite series of mine is It’s In the Air (What We’re Excited About This Month), where women are celebrated for their style and substance. I love reading about each woman’s journey to success and how great living out your dream really is- so inspirational! At the end, each woman is asked to list “5 Things (She) Can’t Live Without,” which is fun to think about. 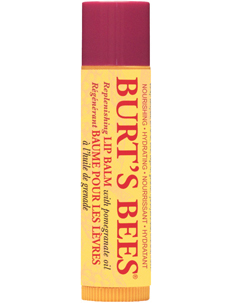 I’ve tried all kinds of lip balms, but this one by Burt’s Bees is by far my favorite with it’s long-lasting moisture and hint of color. I start every morning with a smoothie made with a variety of items (usually frozen mixed berries, chlorella, chia, hemp hearts, protein powder, and almond or coconut milk). Not only does it keep me full until lunch, but it’s packed with nutrients and seems to give me energy. 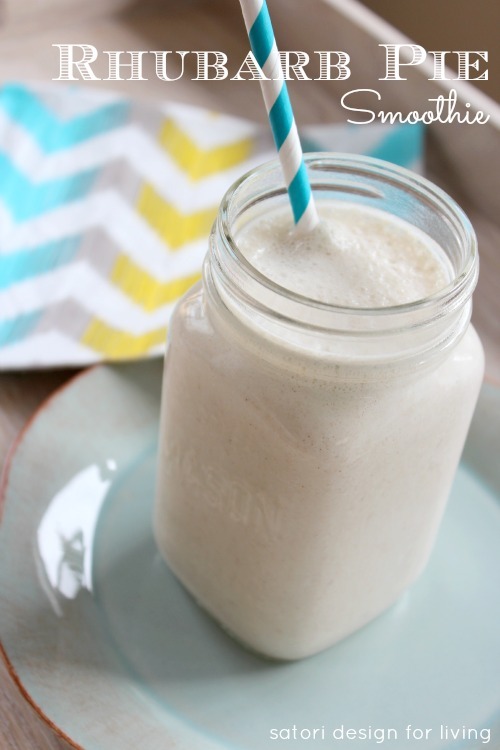 Sometimes I even have one for dessert like this rhubarb pie smoothie! 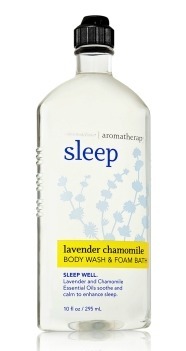 I love ending the day with a hot bath with epsom salts and sleep body wash by Bath & Body Works. The lavender scent is calming and makes me feel relaxed and refreshed. I’ve struggled to keep the dryness and frizz out of my hair for the past year and Morrocan Oil has really helped make it shiny and healthy looking. 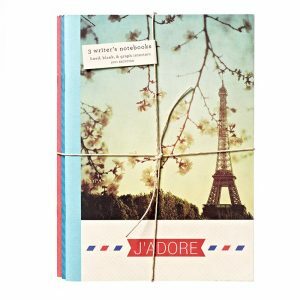 Several years ago, I started a journal where I write down what I’m grateful for, things I’d like to see happen in my life, as well anything that’s on my mind- good or not. Not only is it a place to write whatever comes to mind, but it’s fun to look back and see where I was at particular times in my life. How would you answer that question? I’d love to see your answer in the comments below or in your own blog post! Be sure to link up so I can read all about it. Oh boy, you’ve hit on a good challenge… 1. Definitely my Aveeno lip balm, 2. My Eminence Strawberry-Rhubarb exfoliating scrub, 3. MAC tweezers, 4. My daughter & hubs, 5. Dark chocolate, red wine & cheese – that’s a balanced meal, right? Seriously, it’s the little daily things you don’t even think about, but rather just have or do that make such a difference when they’re missing. Thank you for the reminder on the journal – I need to get a new one as mine is almost full, and it’s been on my ‘to do’ list… Now that would be a bummer to forget. Today… I’ll do that today! Great list. Of course I would add my family and friends too! Dark chocolate would be another one if my list was longer. Family and friends would be at the top and I’d have to add a good cup of coffee. I may have to check out that foundation. Does it have an spf? I’m looking for a good summer alternative.